Recently I have been LOVING noodle bowls! Ive been loving them SO much that I purchased 3 this past week from the new opened Honeygrow that opened in my town. Now while Honeygrow's noodle bowls are bomb...three bowls in a week is NOT bomb for my pockets. So in true Pretty Girl fashion and wanting to save a coin or two, I decided to try making my own bowl at home. Grab this super delicious and easy to make recipe below. Although Honeygrow specializes in noodle bowls, I didn't use noodles for the bowl I made at home but if you want to feel free. I substituted the noodles in my recipe for rice because I already had a bag of rice at home that I had been meaning to use and figured this would be the perfect time. If you are looking to make a traditional noodle bowl, just substitute the rice portion of this recipe with egg white noodles, rice or whole wheat noodles and you are good to go. 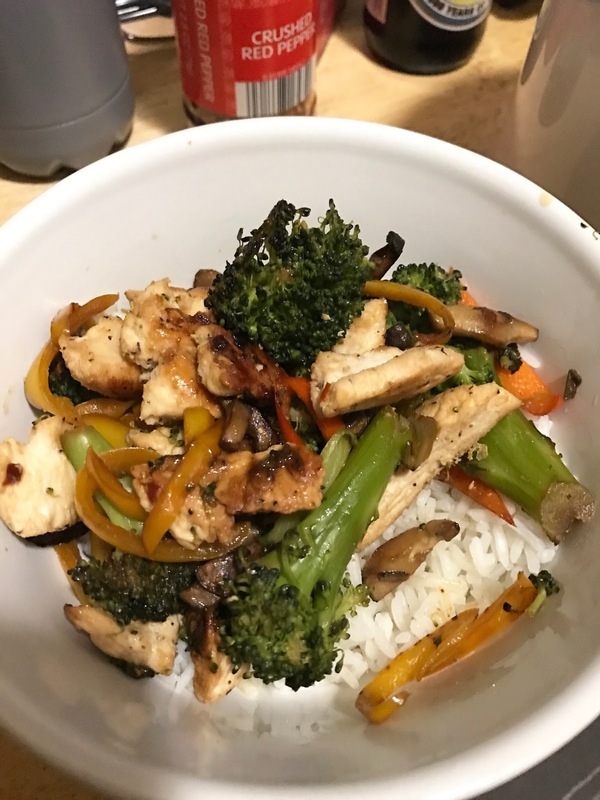 The best thing about rice (or noodle) bowls is that you can really customize it to your liking, if you are a vegetarian you can always substitute the chicken in the recipe for tofu or if you're looking for more flavor or have a favorite veggie, throw that in as well! The possibilities are endless, just make sure you do everything to taste. For the main ingredients of the rice bowl like I said you can add whatever vegetables you like. Below are the ingredients I added and some suggestions of other options feel free to add as much as you want. I love mixing sweet and spicy and this sauce is a perfect blend of both. 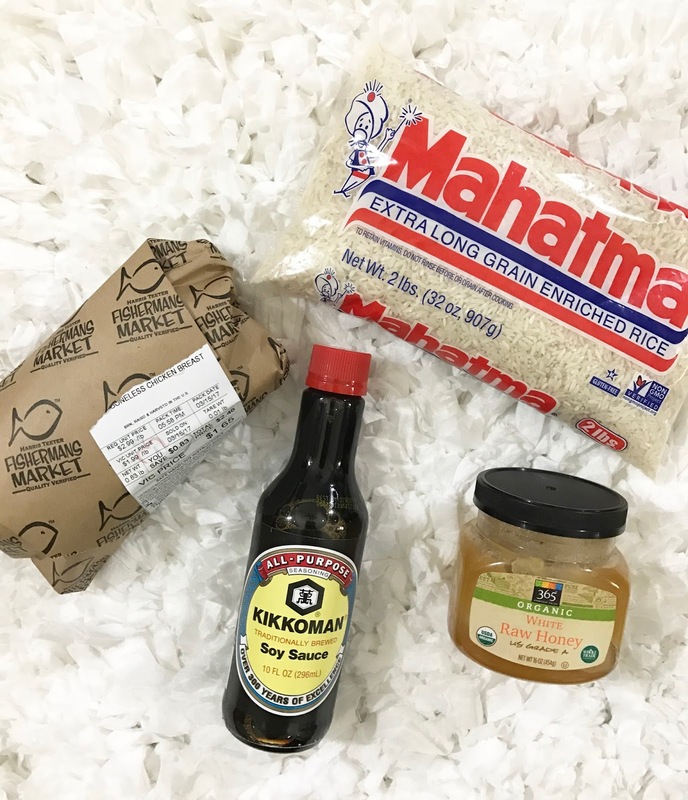 When mixing the below ingredients be sure to add to your personal taste. Of course there must be rice for this rice bowl...however if you choose to use noodle substitute them here. 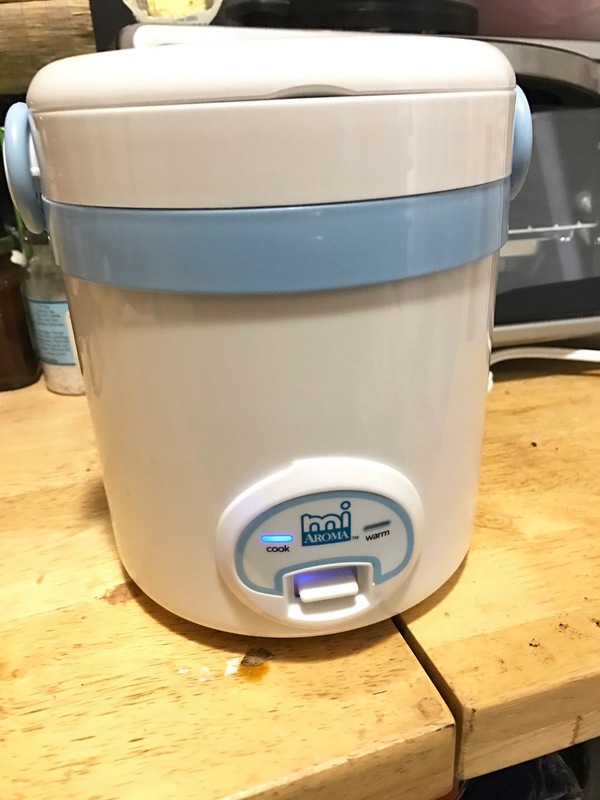 I used this cute little rice cooker that I picked up on clearance at Target last week check out my Target Clearance post HERE for more amazing deals. 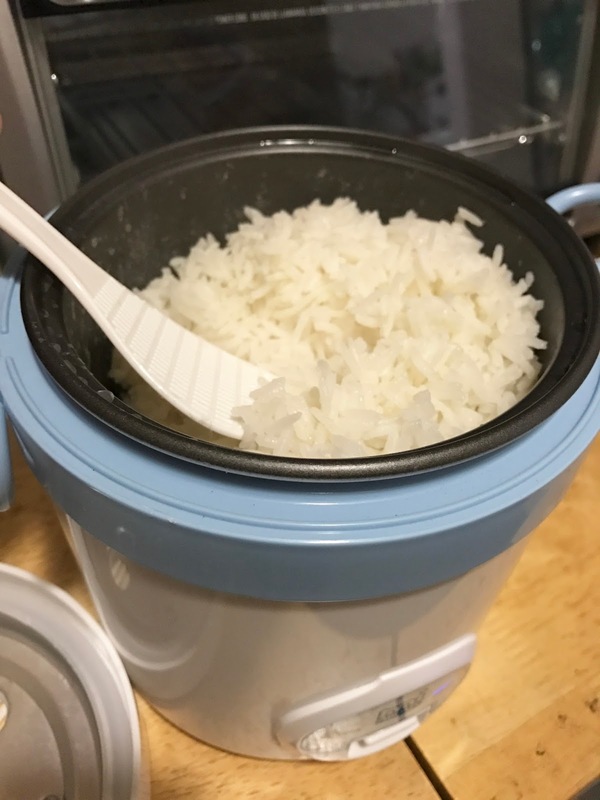 I love this rice cooker because it makes just enough rice for me and it cooks it perfectly and then keeps it warm once its done cooking. Tip: After my rice is done cooking I add a sprinkle of sugar to it. 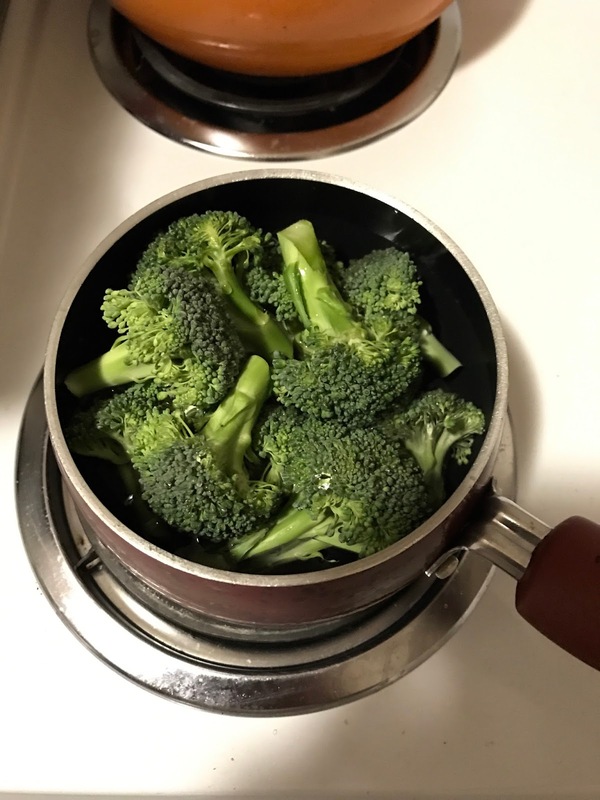 After adding your rice to the rice cooker if you're using broccoli boil that in a pot until slightly tender (you will be able to stick a fork through it). This is also a great time to mix up your sauce, just add all the ingredients mentioned above, stir them up and set them to the side. 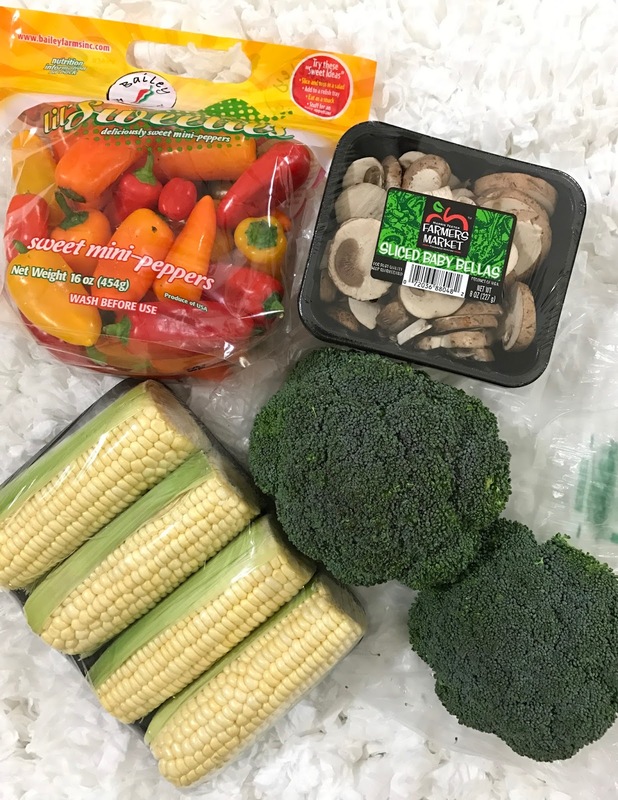 Next chop or slice the remaining vegetables you will be using to your liking. 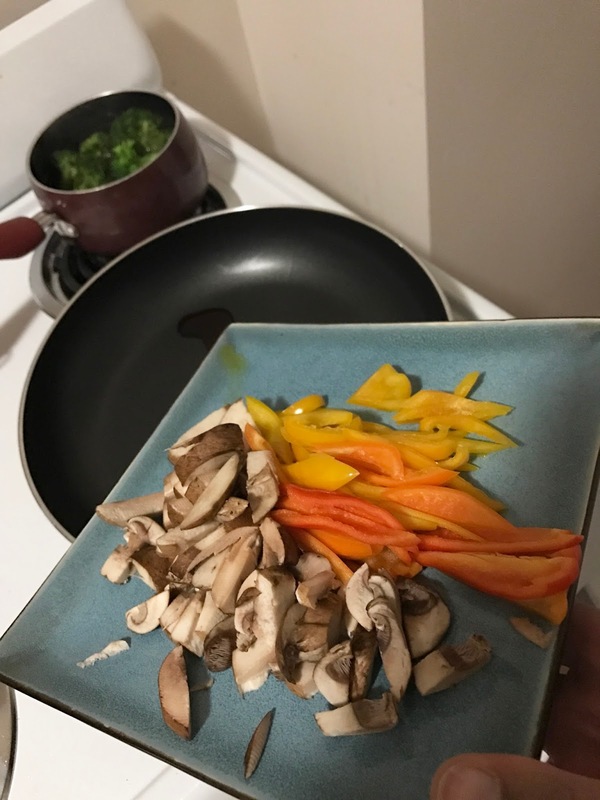 Once your vegetables are sliced, add them to a pan along with some soy sauce. Turn the heat on high and saute the ingredients. At this point your rice should be close to done. If you have the rice cooker I do, as I said before it will automatically go from cooking to warming. Below I checked to make sure the rice was not sticking and mixed it up a bit . This is also when I added a little sugar. 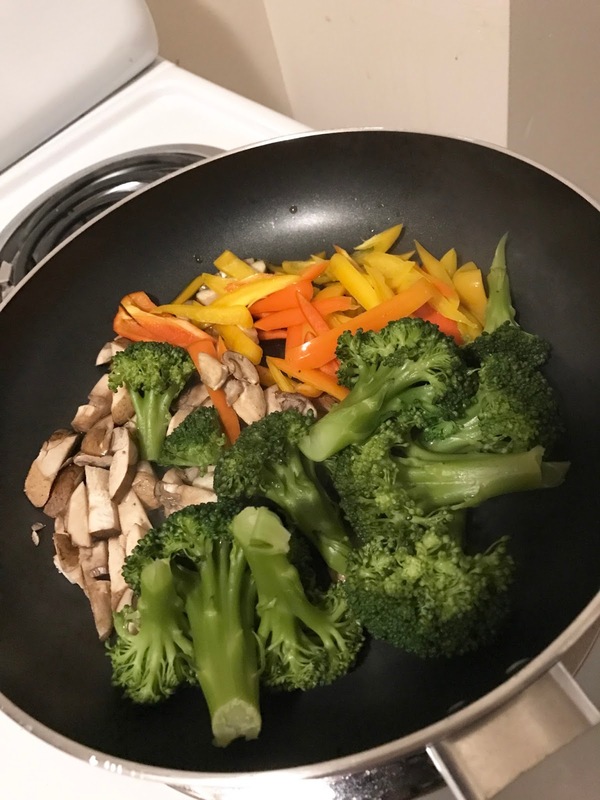 Once the vegetables are cooking, add your broccoli to the mix if you're using it. It needs less cooking time since its already mostly cooked. Once done remove from heat and sit to the side. 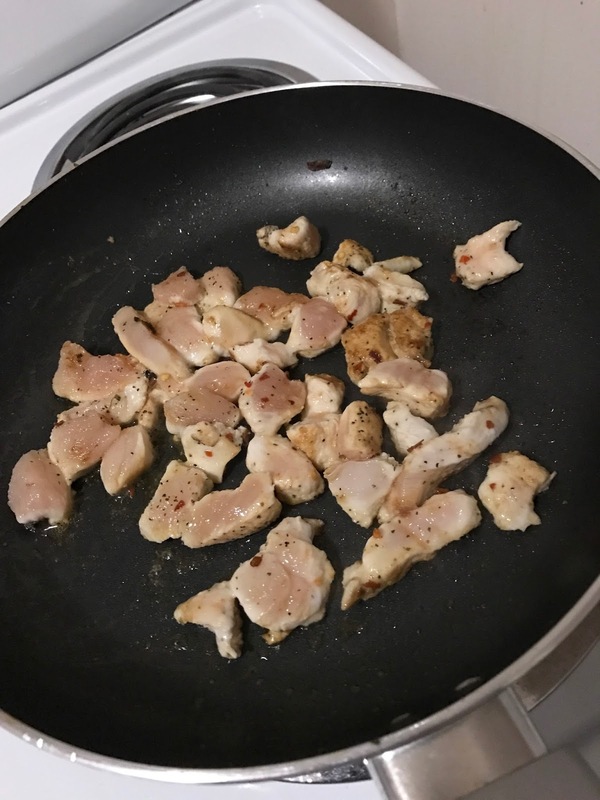 After your chicken is done, clean your pan and add all ingredients together along with a little soy sauce and heat. Then...DAS IT! Take your rice and add it to the bottom of your bowl, top with your ingredients from the pan and the sauce you made? Pour it pour it up all over your rice bowl, thats how we ball out lol. 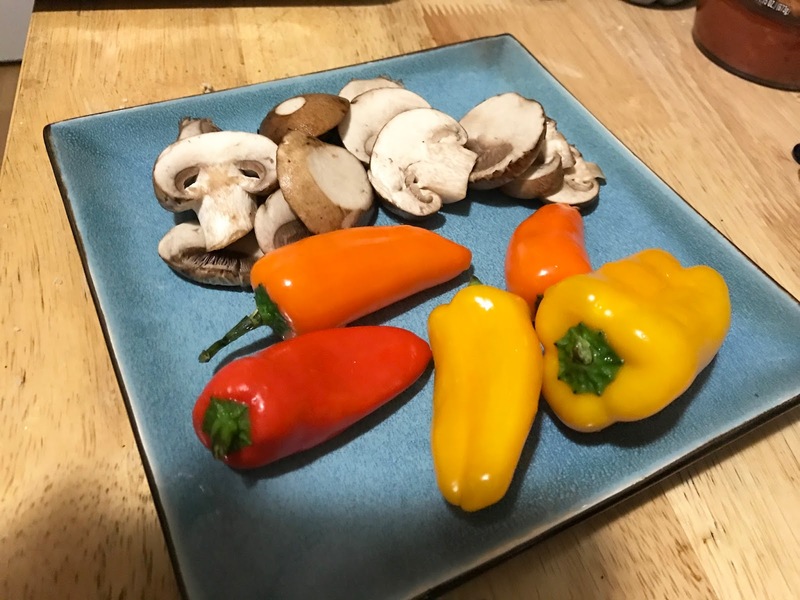 I hope you have enjoyed this 20 minute meal recipe! 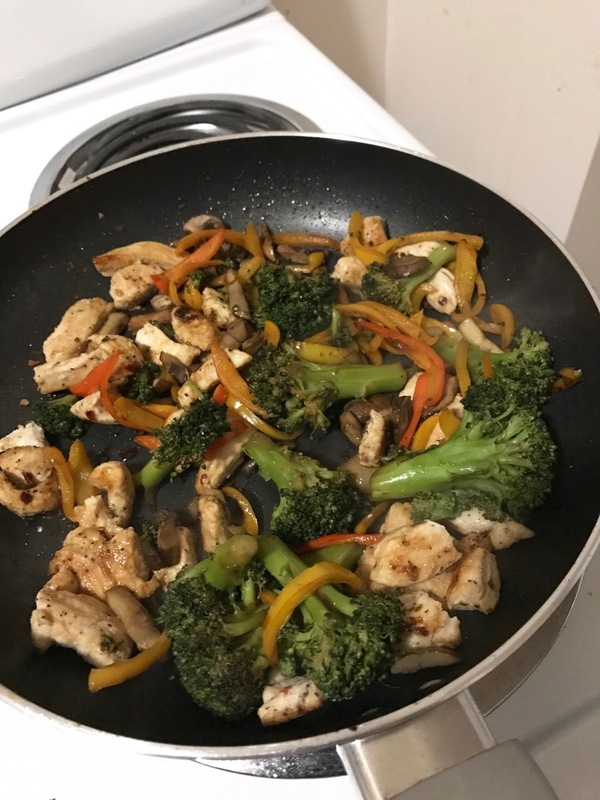 If you would like to see more quick and easy recipes let me know.